Vaporizers: How the new high-tech devices are changing marijuana culture. How the rise of the vaporizer is changing pot culture. Lately, whenever someone breaks out weed in my presence, those marijuana delivery devices of my youth—the joint, the bong, the one-hitter camouflaged as a cigarette—are nowhere to be found. A new trend has consigned them to the head shop clearance bin. These days, everybody’s vaping. Vaporizers heat your “herbal material” (this euphemism pops up in all public vape discussions, but, let’s be honest, very few of us are jazzed about huffing lavender) until it hits a temperature that turns active ingredients into a light, inhalable mist. Studies suggest that vaping is less bad for you than smoking, because lighting things on fire throws off toxins that you really oughtn’t usher into your lungs. Indeed, New York state’s medical marijuana legislation actually disallows smoking weed and instead advises that patients either eat or vaporize their analgesic ganj. I’m not averse to the odd recreational puff. I’ve even on occasion been known to harbor an eensy bit of weed in my apartment. More and more, as friends make the switch to vapes and the health advantages become obvious, I’ve wondered if it’s time to throw away my rolling papers and my ancient, hand-me-down pipe and boldly embrace this brave new means of blazing. But can I overcome my deeply held belief that getting stoned should not require batteries? Am I a cannabis curmudgeon? Or am I prepared to graduate to a higher-tech high? To find out, I decided to borrow several vapes and put them through their paces. Instead, seeking something with a slightly lower profile, I gravitated to smaller, cordless vaporizers with rechargeable batteries. These offer both daintier proportions and more modest dosages. You might even tuck one in a pocket and bust it out among friends at a barbecue, or on the back nine of a woodsy golf course, or behind some grassy dunes on that barren stretch of beach. The portable vapes I tried all required the same basic prep routine. First, you mill a pinch of weed—using a “grinder”—until it’s almost powdery, which ensures it will cook evenly and no oversized nuggets will get singed on the surface while remaining raw in the middle. You shake this powder into the vape’s heating chamber, turn on the device, and wait half a minute or thereabouts for it to warm up. Then you commence inhaling. Feel free at this point to pass the vape ’pon the left-hand side. The first two vapes I tested were both made of plastic and gave off a displeasingly cheap, RadioShack vibe. The Vapir NO2 ($149.99) would look right at home on Batman’s utility belt. It’s matte black, with an LCD readout and a phalanx of buttons to adjust its temperature settings. The Arizer Solo ($224) was similarly encrusted in indicator lights. These vapes will do the trick, functionality-wise—the Vapir in particular had no problem serving up thick clouds of pot mist soon after I switched it on—but they weren’t my style. I much preferred the simpler vapes with one-touch controls. The Ploom Pax ($249.99), created by a pair of dudes with Stanford grad degrees in product design, was easily the smallest and lightest device I borrowed. It’s a breeze to use. You click open its mouthpiece, and once its signal light has turned green, you’re good to go. 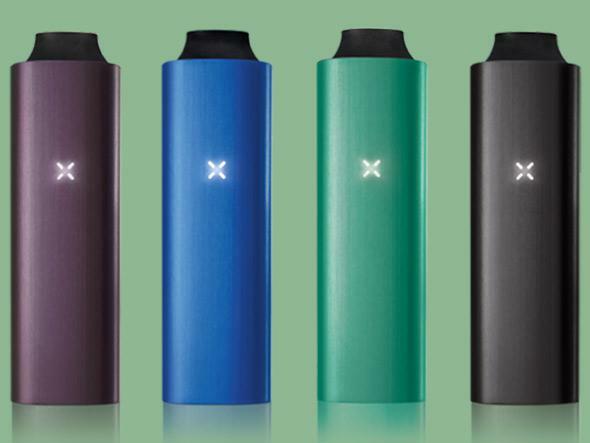 The Pax was a favorite among vapers I canvassed, though to me it felt a bit fragile. The latch that opens and closes the mouthpiece was already starting to stick after a week. 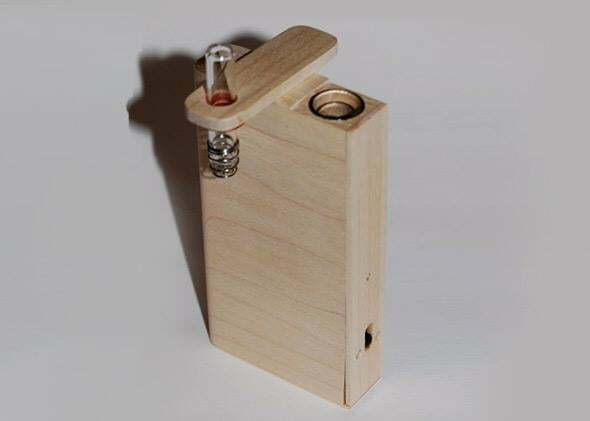 The Firewood vape ($94.95) is also idiot-proof, but instead of plastic it’s made from gorgeously grained maple, walnut, or cherry. You’d be chuffed to craft something this lovely in a high school shop class. It’s elegant enough that you might not be ashamed to leave it out on a side table in your living room. My personal favorite—and, perhaps not coincidentally, the most expensive vape I tried—was the Firefly ($269.95). It’s solidly constructed with gleaming aluminum and glass. It sports retrofuturist lines, like a 1930s vision of some fantastically advanced gizmo. It had the fewest moving parts of any of my test vapes, and seemed the least likely to break. The very fact that vapes could engender an argument over specs encapsulates my problem with them. I guess what I’m saying is: The whole vaping ethos harshes my mellow. Vapes are expensive, possibly complicated to maintain and repair, and are yet another thing to plug in and keep charged. It feels way chiller and more comforting to just roll a spliff when the spirit moves. Still, the health benefits alone may be enough to justify the switch. Last week, when a friend passed around a joint after our pickup basketball game, I couldn’t believe how sharply the smoke spiked into my lungs. I’d grown accustomed to those gentle, delicious wisps of vapor. The truth is, there are lots of different ways to mesh drugs with your lifestyle. You can put a thousand-dollar espresso machine in your pantry and brew your coffee from beans defecated by Asian palm civets, or you can grab a medium Dunkies with cream and two sugars as you sprint to your subway stop. You can carefully uncork and decant a Belgian Trappist ale into a crystal goblet, or you can pop open a Coors Light tallboy and slam it straight from the can. You can argue about hop balance, vineyard soil minerality, and THC concentrations, or you can shut up and get hella nice. Some people need ritual and backstory and accessories, other people are mostly in it for the buzz.